This had a bit of a profound effect on me when I read it for the first time last night. “We make a living by what we get, we make a life by what we give”. 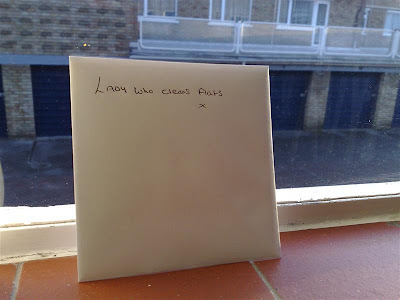 And then I saw this card this morning on the windowsill outside my flats. Obviously left by one of my fellow tenants. Previous Social Networks – clash of the titans! Next How much is now?